We've all been there, Holly! Dusting off her very finest gown for the National Television Awards earlier this week, we had everything crossed for Holly Willoughby to scoop the Best TV Presenter gong. Having barely had time to pop her feet up over the past year, Holly has been busy in all four corners of showbiz – juggling her This Morning duties with a temporary I’m A Celebrity… Get Me Out Of Here! stint, all whilst keeping her brood of three in check. 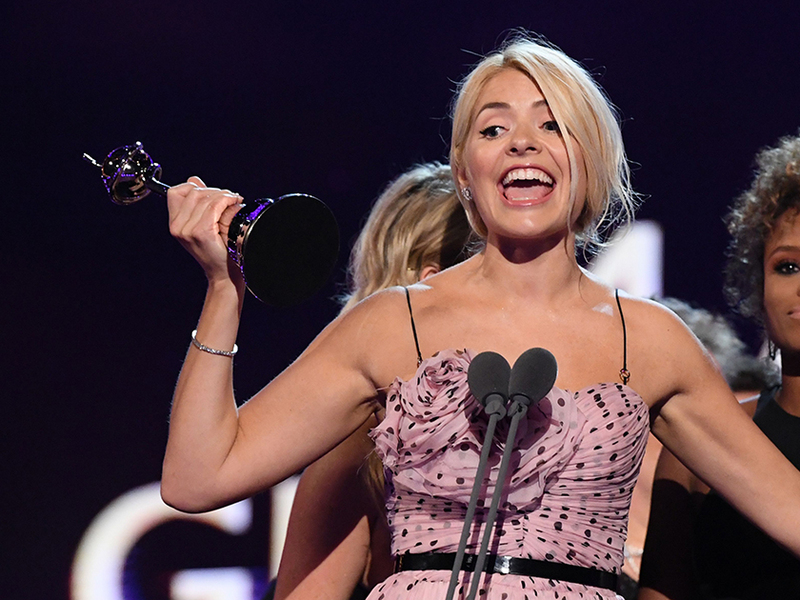 Despite her jam-packed schedule, however, the 37-year-old missed out on being hailed the Best Presenter during the esteemed award show – with the reining kings, Ant McPartlin and Declan Donnelly, championing the category for another year running. Speaking with The Sun, the source claimed Holly had left the glitzy bash earlier than planned due to an unexpected ‘outpouring of love’ from her nearest and dearest. ‘Holly had a good cry with her husband Dan. She was totally overwhelmed by the outpouring of love from her This Morning crew after the ceremony,’ the show insider told The Sun. ‘They were all telling her how loved she is and how they couldn’t believe she didn’t win the gong. ‘The amount of genuine empathy got too much for her,’ the source added. Whilst Holly might not have lasted till early doors, the mother of nine-year-old Harry, seven-year-old Belle and Chester, four, still managed to squeeze in enough time for some well-deserved partying. Having smuggled a hip-flask of tequila into the ceremony, Holly and Phil posed for snaps whilst sipping on their lethal beverage. Arriving at the This Morning studios the following day, the pair joked that they would be nursing hangovers whilst presenting the show.